Born: 19 July 1792, Wittingen, Hanover, Germany. Died: 11 May 1844, Baviaans River, Eastern Cape, South Africa. G. Ludwig E. Krebs went to school in Wittingen (now in Lower Saxony) to the age of fourteen, when his family moved to Verden. He started work as an apprenticed appothecary, probably in Hamburg or Barth, but his studies were most likely interrupted from 1812 by service in the Napoleonic wars. By 1817, however, he was a qualified pharmacist. In May that year he arrived in Cape Town to take up a position as assistant pharmacist in the firm of Pallas and Poleman, succeeding the ailing C.H. Bergius*. He was licensed as an apothecary and chemist in the Cape Colony in March 1818. P.H. Poleman* became his friend, and when his four year contract ended in June 1821 he remained with the firm until October that year, when C.F. Drege* arrived to replace him. During his free time Krebs collected birds and mammals, though he lacked training in natural history. His collecting companions included Bergius (who died in January 1818), Baron von Ludwig*, C.H. Wehdemann*, and the plant collectors Mund*, Maire* and Brehm*. In April 1818 he collected plants with L.A. von Chamisso*. In March 1820 he seems to have visited the Olifants River with P.A. Delalande*, who taught him to skin and preserve birds. Meanwhile M.H.C. 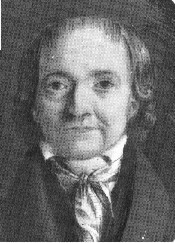 Lichtenstein*, Director of the Natural History Museum in Berlin, accepted his offer to collect for the museum on commission, and as a result he was officially appointed by the Royal Prussian Department of Education and Medicine in November 1820 as "Naturalist to the King of Prussia". His elder brother George Krebs*, then studying medicine in Berlin, acted as his agent. That same month he dispatched his first collection, a small one consisting mainly of birds. His second collection, sent in March 1821, included a few hundred insects, mainly from the Olifants River. The third (October 1821) included some 100 fishes, 200 molluscs in their shells, other marine invertebrates, and 41 reptiles and amphibians, all preserved in alcohol, as well as some 1100 insects. From the time he left Pallas and Poleman Ludwig was a full-time collector. In October 1821 he travelled by sea to Algoa Bay and settled in Uitenhage. During 1822 he collected there and at Sundays River, Galgenbosch, Van Stadens, Zuurberg and Swartkops River. The resulting four collections consisted mainly of birds, mammals and insects, but included some bulbs and succulents which he packed with the advice and assistance of James Bowie*, whom he met at Uitenhage in February 1822. The next year he collected along the Bushmans, Kariega and Kowie Rivers, and in August left on a visit to the newly established Fort Beaufort, spening a few months along the Baviaans and Fish Rivers. From November 1824 to February 1825 he visited Cape Town again, from where two further collections were dispatched. Later that year he donated 47 birds to the newly established South African Museum. Upon his return to the Eastern Cape he settled on a farm in the Baviaaans River Valley near present-day Bedford, from where he sent a further collection, consisting mainly of birds and insects, in 1826. Though his contract with the Berlin Museum was coming to an end he decided to stay in South Africa. By June 1826 he and Leopold Schmidt had opened a pharmacy in Grahamstown, where he spent some of his time. He visited Cape Town again from March to September 1828 and successfully applied for burghership. During these months he suffered a severe attack of rheumatism, a disease that limited his travelling during the next two years and plagued him for the rest of his life. Early in 1829 his nephew, Carl J. Kemper, arrived to help in the pharmacy. The twelfth collection, the last under his obligations to the Berlin Museum, was sent early in 1830. It included a specimen of the now extinct quagga, large numbers of plants, insects and birds, and 90 reptiles and amphibians. Arrangements were made with Lichtenstein and others for further collections to be auctioned in Berlin. Early in 1831 Krebs and Kemper went on a trip to the Orange River near Colesberg. Later that year he bought the farm Doornkroon in the Baviaans River valley and renamed it Lichtenstein in honour of his patron. It was situated a little beyond the legal frontier of the Fish River, in the newly established district of Graaff-Reinet. Three years later his brother Georg also came to the Cape to practice medicine. During the Sixth Frontier War (1834-1835) the farm was a defended outpost where he gave shelter to Wehdemann, who died and was buried there. His partner Leopold Schmidt died in July 1836 and from then Krebs dispensed medicines only from his farm. In March 1838, accompanied by Carl Kember, he undertook a major collecting trip, despite the unrest caused by the Great Trek and the murder of Piet Retief and his party. The journey had been planned for many years. It took them across the Orange River near Aliwal North, northwards to Thaba Nchu, and on to the Paris Evangelical Mission at Mquatling, near Caledon. Here they met Father F. Daumas and collected many specimens. Chief Sikonyela, whose kraal was at the site of future Ficksburg, refused them permission to continue to Natal, but while waiting they visited the region near the source of the Caledon River. They then proceeded through the Free State, across the Vaal River, to the Makwassie Mountains in the south-western Transvaal. Here they turned back, and following a more westerly route, arrived home in December. The expedition produced a huge collection (the fifteenth) which was dispatched from Algoa Bay in September 1839 and auctioned in Berlin. From this collection Lichtenstein described three mammals and 19 birds as new. Kreb's rheumatism made further travel impossible and he died on his farm a few years later. He was not married. Ludwig Krebs was one of the greatest natural history collectors in southern Africa during the first half of the nineteenth century. His zoological specimens included 244 mammals (4 of them new), 3285 birds (14 still recognised as new), 20599 insects, 129 reptiles, 102 marine and freshwater fishes (two type specimens, both freshwater), and 213 molluscs (two new species described by Lichtenstein). A set of his plants went to the herbarium of the Botanical Institute, Charles University, Prague. The specimens were listed by K.B. Presl in his Botanische Bemerkungen (1844). Krebs collected more specimens in South Africa than his contemporary, the famous zoologist Dr A. Smith*. However, he lacked the scientific training of collectors such as Smith and Burchell*. He did little work on the classification of his specimens and did not produce a published account of his travels. Furthermore, although Krebs provided specific localities for his specimens, Lichtenstein often described their provenance in general terms such as "Kaffraria", thus reducing their scientific value. He also left the study of the collection mainly to others, with the result that Krebs remained largely unknown in the scientific world and few zoological species were named after him. One such is the Fat Mouse, Steatomys krebsii. The plant genera Krebsii and Krebsia were named in his honour by W.H. Harvey* and by Ecklon* and Zeyher* respectively, but neither name is still in use. However, several plant species still carry his name. George Ludwig Engelhard Krebs. In Beolens, B., Watkins, M. & Grayson, M. The eponym dictionary of mammals. JHU Publishing, 2009. National Automated Archival Information Retrieval System (NAAIRS). http://www.national.archives.gov.za/naairs.htm Documents relating to Ludwig Krebs.